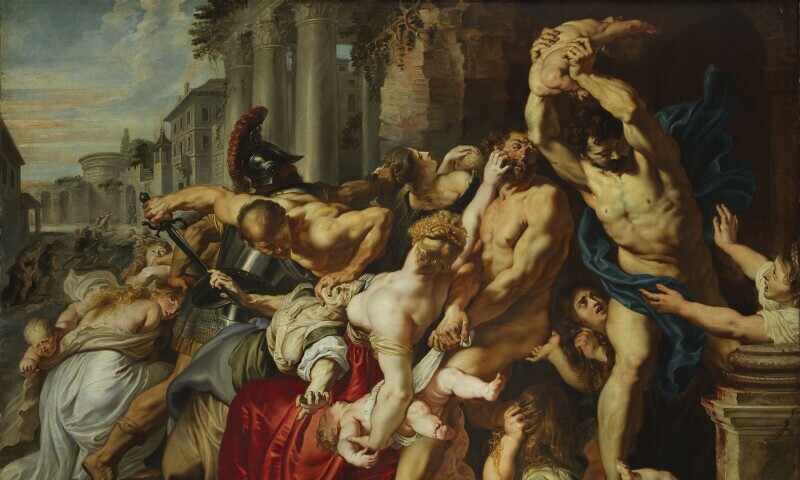 Peter Paul Rubens, The Massacre of the Innocents, c. 1610. Oil on panel, 55 7/8 × 72 1/16 in. In 1608, after a period of artistic study in Italy, Peter Paul Rubens returned to his hometown of Antwerp. He found a city ready to support him, a bold artist who worked at a pace and at a scale that could repopulate the city's churches with religious images while also supplying private collectors with dramatic works rendering historical moments from ancient Greece and the Bible. Early Rubens is the first exhibition dedicated to the pivotal years between 1609 and 1621, when the Northern Baroque master built his career. In more than 30 paintings and 20 works on paper, many on view in North America for the very first time, the exhibition traces Rubens’s early development as a master painter, his unique gifts for depicting seductive and shocking narratives, and the role played by Antwerp in his meteoric rise to the first rank of European painters and international fame.